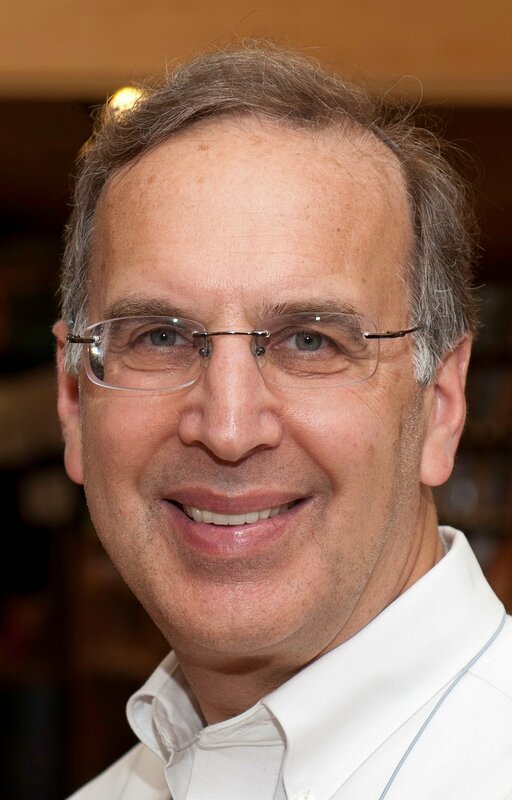 Rabbi Sid Schwarz is a senior fellow at Clal: The National Jewish Center for Learning and Leadership and a past Covenant Award winner for his pioneering work in the field of Jewish education. A previous version of this article appeared on the eJewishPhilanthropy blog in March. This past month saw the publication of my new book, Jewish Megatrends: Charting the Course of the American Jewish Future (Jewish Lights). It is an ambitious title but if the book does what I hope it will do, it will provide some guidance to hundreds of Jewish communal institutions and thousands of Jewish professional and lay leaders who care deeply about the future of the American Jewish community. Ambassador Stuart Eizenstat, who co-chairs the Jewish Public Policy Institute based in Jerusalem, writes in the book’s Foreword: ” No one is better positioned to provide this novel analysis and prescription than Sid Schwarz. (He) has held senior positions in Jewish communal organizations, was the founding rabbi of an innovative and flourishing Reconstructionist synagogue (and) founded a highly successful national institution, PANIM, bringing thousands of young American Jews to Washington training them with a unique methodology using Judaism and Jewish values, to become change agents on the political and social issues facing our country and the world”. My first book, Finding a Spiritual Home: How a New Generation of Jews Can Transform the American Synagogue (Jewish Lights, 2000), was a result of twenty-five years of thinking about how to do synagogues differently. It started with a course I was invited to teach at the Reconstructionist Rabbinical College by Ira Silverman (z”l) soon after I was ordained. Some ten years later, as the founding rabbi of Adat Shalom Reconstructionist Congregation (Bethesda, MD), I had the great privilege of working with a community that was open to risk taking and thinking outside of the box. Adat Shalom became an ideal laboratory for me to experiment freely in the realms of religious worship, social action, lifecycle events and community life. When I decided to step down from that pulpit, I wanted to better document how and why the congregation was as successful as it was in attracting Jews who would not otherwise be inclined to affiliate with a synagogue. I undertook a study of three other congregations, one from each of the major denominations of American Jewish life to create a composite of new paradigm synagogues that had the ability to attract next generation Jews. I called the new paradigm, the synagogue-community. Ever since the publication of Finding a Spiritual Home I have worked with dozens of synagogues and hundreds of rabbis to help transform synagogues into places that challenge the mind and touch the heart of Jews. In Judaism and Justice: The Jewish Passion to Repair the World (Jewish Lights, 2006) I set out to articulate the history, theology and sociology of the Jewish engagement with justice, service and social responsibility. My laboratory for this work was PANIM: The Institute for Jewish Leadership and Values. I founded PANIM in 1988 to bridge the gap between the fields of Jewish education and Jewish public affairs. Over the course of more than 20 years PANIM became a training ground for young people, educators and rabbis to inspire activism, leadership and service in the context of the Jewish community and the larger world. Our tools were Jewish texts, Jewish values and the role model of Jews that came before us who played leadership roles in many of the progressive social causes of the 20th century. It became clear to me that PANIM was creating a new framework for contemporary Jewish identity, one that integrated serious Jewish learning with a commitment to heal a broken world. I am not unaware of how many Jews seem uninterested in Jewish life nor do I take lightly the studies that show rising rates of assimilation and intermarriage. Yet I served as the rabbi of two different congregations for eight years each and I worked with thousands of young people through PANIM programs. Week in and week out I was able to see how Judaism could excite the passion of Jews. Judaism was neither seen as irrelevant nor as a burden but rather as a framework to make life more meaningful and a source of wisdom that helped people navigate the most challenging issues in their personal lives and in society. In Jewish Megatrends I build on my previous two books. I attempt to paint a picture of the challenges that the Jewish community faces as it tries to adapt to a new social landscape and a new generation that comes with a very different set of assumptions and expectations than any generation that came before it. I have taken that which I found “works” and shaped it into a four-part prescription of what I think needs to be the new playbook for any Jewish institution that hopes to speak to the next generation of American Jews. I then reached out to some of the top leaders of different sectors of American Jewish life and asked them to react to my prescription. Does it sound right to you? What are you seeing in your particular sector of Jewish life? To what extent is your sector adapting to the dramatic changes taking place in American society? What are the most exciting innovations that you are trying and what makes them work? What emerges is not only a portrait of a community in transition but also some clear patterns of how we can effectively engage the next generation of American Jews. It is true. Some established institutions are stuck in old paradigms and are becoming increasingly irrelevant. But a handful of established institutions are taking bold risks to re-invent themselves. And then there are an amazing array of relatively new organizations and initiatives, many led by and aimed at the next generation. They are not only worth watching but they are worth our investment of time, attention and financial resources. I believe that over the course of the next decade there is a unique opportunity for a cross-fertilization between the established institutions of the American Jewish community and the robust innovation sector of American Jewish life. If each side recognizes the value of the other and commits to a program of collaboration, I believe that we are on the verge of a renaissance of American Jewish life. My hope is that Jewish Megatrends contributes to that conversation and that collaboration. Over the next few months I will be in ten cities to bring the message of Jewish Megatrends to the larger Jewish community. In the first week of the book’s publication I presented at the national convention of the Central Conference of American Rabbis and in six different venues in the greater Los Angeles area. I am also in conversation with several executive directors of Jewish Federations who are eager to use the insights of Jewish Megatrends to effect change in the way their communities use their resources to engage the next generation of American Jews. The time for hand wringing is over. There are concrete principles and clear methodologies that will help the Jewish community plant the seeds for a Jewish community that is more vibrant and more compelling than that which exists today. Follow my blogging on the progress of the Jewish Megatrends national tour at www.rabbisid.org and feel free to be in touch with me to explore ways to bring Jewish Megatrends to your institution or community. Rabbi Carrie Vogel is the Assistant Director of Youth and Family Education at Kehillat Israel, in Los Angeles, California. Rabbi Vogel was ordained from the Hebrew Union College-Jewish Institute of Religion and she also received a Masters in Jewish Education during her time there. She and her husband, Brian, are working with the Independent Adoption Center to grow their family through open adoption. For more information, check out their IHeartAdoption and Facebook page. Our tradition loves few things more than an adorable, Jewish baby. I too loved reading All-Of-A-Kind Family as a child, imagining what life would be like with all of those siblings. I too revel in the joy of holding a week-old baby while I announce their Hebrew name and welcome them to the Jewish community. And I too find it adorable when our preschool director sends onesies with our school’s logo to all new babies born in our congregation. Fertility is a common theme in our biblical narrative. Columns of parchment are filled with genealogy listing who begot whom, and most families described have more than two children. In building a Jewish people, we needed a lot of, well, people. But growing a tribe was not so easy for all of our biblical ancestors. Abraham and Sarah scoffed when it was predicted they would have children late in life, Rachel, despite being Jacob’s favorite wife, had difficulty becoming pregnant and Hannah prayed so fervently for a baby that those watching thought she was intoxicated. In the end though, Sarah, Rachel and Hannah all gave birth to healthy baby boys – Isaac, Joseph and Samuel, respectively. The message is that if you pray hard enough, if you want it badly enough, if you are the most dedicated Jew that you can be, then you will be rewarded. This theology presents a special kind of challenge for those unable to conceive, no matter how much prayer and science we combine. Despite being a progressive Jew and despite coming to our decision to adopt in a thoughtful and reflective way, I am not afraid to admit that these texts are still difficult for me. When I teach Torah to the students in our congregation, I remind them how our biblical ancestors also make mistakes and have faults. It is for this reason that we continue to identify with them because their characteristics are our characteristics. And yet not all of our experiences are represented in the vast canon of our tradition. Things that we might assume would historically happen with relative frequency (for example, actual infertility or infant mortality) are generally absent from our texts. So while we may be able to come to terms with theologically challenging stories, I still struggle to find stories of this genre that I can connect with. Additionally, for a people who places so much emphasis on community, one of the more challenging aspects of infertility is the feeling of isolation that most people experience. It is an emotionally complicated, physically draining experience and for most, the feeling of failure is very powerful. My point is, it is not the kind of thing I would bring up in the carpool line when a parent asks, “How are you doing?” And even if I were comfortable sharing, we are a people who love to give advice and with all due respect, this is not really an area where I want to be getting personal recommendations from my congregants! Alternately, the adoption community has been like a wetsuit – something which has provided buoyancy and protection as we float down this uncharted river (uncharted for us). The support group which our amazing agency runs, subscribing to brilliant and honest blogs likes Kristen Howerton’s “Rage Against the Minivan” and Carrie Goldman’s “Portrait of an Adoption,” and reading Nia Vardalos’ Instant Mom have filled much of the void I felt I was enduring on my own. These outlets have given me a rich perspective and the motivation to illuminate the world of adoption for my own community of family, friends and congregants. It is because I have sat and listened to others’ stories and nodded my head silently in agreement. It is because when I finished reading Instant Mom I immediately went back to the beginning and started reading it again. It is because we need to open the arms and minds of the Jewish community even wider. It is for all of these reasons that I feel compelled to share our story, in the hopes that we can provide buoyancy for others. by Rabbi Mark Rothschild, Ph.D. When I was in the second grade I made a picture of a mushroom using string, glue and magazine photos. It was the ugliest thing ever! Still, my mom kept it up on her kitchen wall for over a decade. My high school friends were merciless about it whenever we raided the fridge for snacks. I vowed never to torture my children in the same way. Some promises are meant to be kept; others not so much. As a parent, I understand why my mom kept the picture posted on the fridge, although I try to be more subtle with my own children. Their clay sculptures squat proudly in my tool room, out of sight. Drawings stay up no longer than a week. And while I attend nearly every school play, I don’t feel the need to videotape my daughter every time she channels pilgrims, rain forest animals and leafy green vegetables, even though I love seeing her in action. We all love our kids’ artistic achievements. They may be silly and awkward, but there’s nothing like seeing your child beam about a drawing or sculpture or performance. The thing is though, as much as we enjoy these keepsakes and memories, they rarely have anything to do with creativity. Real creativity is about solving problems. It’s about critical thinking. As Sir Ken Robinson says, creativity is the process of having original ideas that have value. This kind of creativity is baked into Judaism. Our stories and guiding myths set into motion a people fixated on creative interpretations of text, and creative approaches to living our lives. Of course, creativity in Judaism was not always a successful venture. In fact, the first creative collaboration in the Bible was an absolute disaster. Any guess what it was? Well that turned out well, didn’t it? Humanity was dispersed into different linguistic groups, unable to understand each other or even properly order food in each other’s restaurants. To this day Americans cannot order Beef Bourginoine without sounding asinine. Now the real creativity issue in the Tower of Babel story, at least for me, is not the “event,” the architecture of the supposed tower. I don’t look at the story literally, and I assume most of you don’t either. To some degree, the real creativity is in the story, but much more importantly, the creativity is in what was done WITH the story. The story itself is an etiology. Etiologies are narratives that explain the origins of customs, rituals, geographies or other phenomena. The Babel story in particular is an etiology explaining why there is a multiplicity of languages on the earth. Now Jews did not invent etiologies, and as an etiology this Babel story isn’t all that creative. In fact, the Bible may have borrowed the tale from a similar Sumerian myth called Enmerkar and the Lord of Arata. This was an Our Jewish Community (OJC) is all about. OJC recognizes that the world is changing. People are constantly moving and bricks and mortar didn’t serve the builders of the Tower of Babel any better than they serve many of us today. So I tip my kippah (if I wore one) to the creative leaders of OJC who built a Jewish institution without bricks and mortar, and without trying to make a name for themselves. The creative enterprise at OJC is all about having ideas that matter; it is all about renewing the universe with our creative enterprise. As such, it has got to be the most traditional Jewish organization I have ever known. Rabbi Rami, a graduate of Hebrew Union College-Jewish Institute of Religion, is an award winning author of over two dozen books on religion and spirituality. He also writes a regular advice column for Spirituality & Health magazine entitled Roadside Assistance for Your Spiritual Journey. He can be contacted via his website. 1. I am a panentheist. I don’t believe in a self-conscious creator and judge of the universe. I believe in the God of Spinoza and Einstein, the source and substance of all reality that neither saves nor damns, chooses one people over another, dictates books on mountaintops or caves, has no children, nor dabbles in real estate. 2. I believe that the idea of the Chosen People is a sociological invention, part of our tribal marketing plan, no different that Coke calling itself The Real Thing. 3. I believe that all religion is of human origin, one of the ways (along with art, poetry, literature, science, etc) we humans make meaning for ourselves. 4. I believe that communal prayer should be about reminding ourselves of our highest values, and not with praising God or cajoling him (sic) to change his mind. 5. I believe that all scriptures are human documents containing both timeless wisdom and time bound error, and that the study of Torah should be about culling the former and freeing ourselves from the latter. 6. I believe that Israel is important to the survival of the Jewish people but in no way promised to us by God. The Jewish idea of the Promised Land is like the American idea of Manifest Destiny: it is simply a way to claim divine sanction for actions we plan to take anyway. 7. I believe that the values of universal love, justice, humility, and compassion trump any religiously sanctioned action, and should be the criteria against which we critique religiously sanctioned actions. 8. I believe that when it comes to understanding nature, science not religion is the better tool. 9. I believe that people should free themselves from slavish adherence to any religion, and that any religion that demands such enslavement is a danger to the world. 10. I believe that regardless of what any of us believe Reality is Reality and we had best deal with it wisely, courageously, justly, humbly, and compassionately. I can’t help what I believe, and I am saddened when people are angered by it. People expect me to defend Judaism; to make it shine brighter than any other faith; to uphold the Jew as the exemplar of moral and spiritual perfection. But I can’t do any of that. Judaism is as brilliant and as mad as any other religion. Jews are as brilliant and as mad as any other people. True, I wouldn’t want to be anything other than a Jew, but I have no problem pointing out the silliness of Jewish life. People who cannot laugh at themselves are people who are probably not comfortable being themselves. People expect me to defend Israel; to uphold her every policy. Israelis don’t do that, so why should I? When Israel acts justly and with compassion, she is to be praised. When she doesn’t she is to be held accountable. The same is true of every country. People expect me to be the model Jew to the Gentiles. In their minds I represent all the Jews and all Judaism and must let others see what a great people we are. I can’t do that. I have no interest in doing that. I think that anyone who tries to do that is either sincere and dangerous, or lying and even more dangerous. The truth is I am bored with tribalism, even as I am often proud of my tribe. 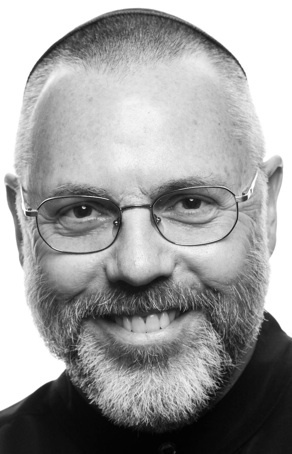 I am frustrated by religion, even as I am honored to be a Jew. So, if you think God is real, act like it. If you think Torah is true, live by it—all of it. If you think Israel is the Promised Land, move there. If you think every Jew represents all Jews to nonJews, watch your own behavior and the message it sends. Me? I am just a simple Yid trying to make sense out of life as I find it. I suggest we all try to do the same.